Bring your embroidery machine, hoops, bobbins, threads, embroidery scissors and misc. tools. Call or come by the shop to enroll in each class and pick up a supply list for your particular project. 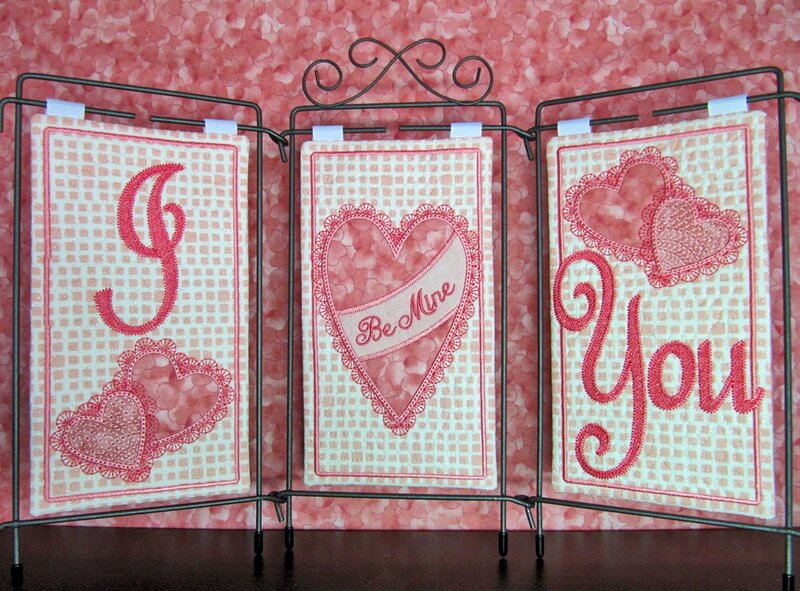 We will be creating wall hangings, table runners, table toppers, just to name a few. Embroidery machine and embroidery supplies. Call the store for each months supply list of required materials. See the weekly newsletter for each monthly project. Cathy is an Intermediate machine embroiderer. She also designs labels for the backs of quilts.